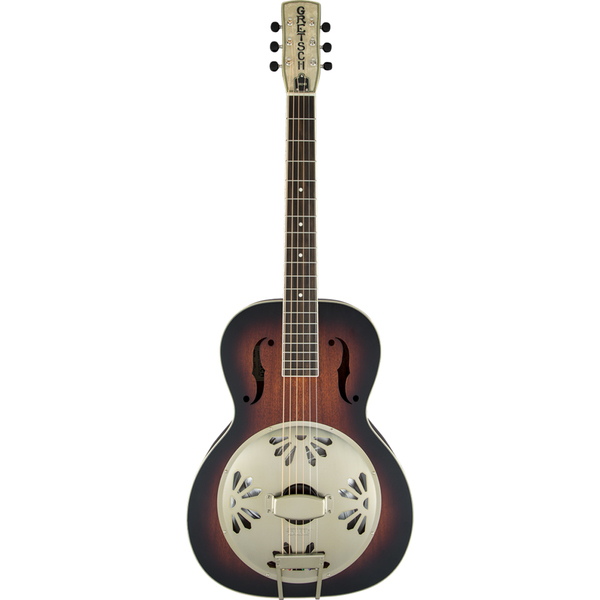 With its nickel plated all-steel body and biscuit-style cone, the Ozark 3515N resonator guitar delivers a rich powerful tone - the classic resonator sound. It features a ‘biscuit’ domed metal resonator cone within the steel body that brings out its dynamics. The steel body is lighter than a brass body model with a beautiful nickel plated finish. Its strong metallic sound complements these classic looks and it’s easy to play with a comfortable mahogany neck. A great affordable choice for the guitarist looking for their first resonator to explore blues, country or slide guitar.